Andy Duncan – Europe: In or Out? Andy Duncan discusses the forthcoming EU Referendum and related issues. 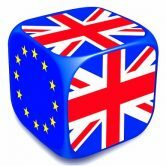 On Thursday, June 23, 2016, citizens of the United Kingdom will vote on whether or not to remain part of the European Union. The United Kingdom’s membership of the EU was achieved in several discreet although ultimately orchestrated stages. Since the formation of the European Economic Community in 1958 which later morphed into the European Union itself in 1993, the entire scheme has seen ever deepening integration and interdependence between an increasing number of member countries, with the UK itself joining in 1973. Its restlessly expansive aims and ambitions were divisive then and they remain so today, arguably more than ever. The campaign to remain within the European Union, the imaginatively titled Remain campaign, cite reams and rafts of beneficial EU legislation which over the years has simultaneously helped protect the rights of workers, consumers, business, minorities, and the environment, as well as preserving peace within Europe’s borders. 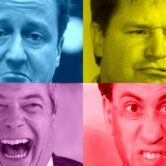 Their efforts, however, dubbed ‘Project Fear’ by those who would quit the EU – the so-called Brexit campaign – have been marked by a distinct lack of hard facts and figures to assist the voting public in making what the Remain camp continually insist will be a momentous and strictly once-in-a-lifetime decision. As the day of reckoning draws ever closer, Remain – or Bremain if you prefer – have also indulged in blatant scaremongering with dire warnings of impending doom ranging from giant mosquito invasions to nothing less than World War III. Meanwhile, the aforementioned Brexit campaign argues that, whatever the intent of the EU’s founding fathers, it has metastasised into a corrupt and unaccountable cabal of control freaks and gravy train grifters. The Leave campaign have a veritable laundry list of gripes including but by no means limited to areas such as farming, fisheries, immigration, national security, international trade, and the shape of bananas. We read in the UK news just today, for example, the provocative headline ‘EU postpones toaster and kettle crackdown until after Brexit vote.’ Forget ISIS, Al Queda, and North Korea, surely this is the stuff of World War III? At the hands of Bremain, therefore, Brexiteers are branded as ignorant, inward-looking, xenophobic little-Englanders, even if they happen to live in Scotland, Wales, or Northern Ireland. As things stand, however, no matter what the preferences or prejudices of individuals and institutions with an interest in the outcome, the remit, regulatory reach, and sheer size of European Union bureaucracies and their combined budgets have ballooned since the nascent days of what was always a political project. Something, it would seem, simply has to give. Maybe not today, maybe not tomorrow, maybe not even on June 23, but soon, and the aftermath may prove impossible to predict. Reece Girven discusses the deception at the heart of our debt-based monetary system, and the Quantar Trading Network, a radical new concept designed to replace it. From the age of the goldsmiths to the present day, the modern banking model has been transformed from a simple safe-keeping service into a monstrous money-from- nothing Ponzi scheme. What was once commodity-based currency now exists largely as little more than mere numbers on a computer screen. And where once banks could lend only that which their customers deposited, loans are now created from thin air on a whim and at a keystroke. Known as fractional reserve banking, the lending at interest of money that does not exist is now out of control, and day by day, hour by hour, minute by minute, the global debt mountain continues to grow. 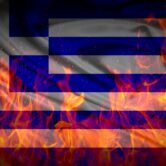 Andy Duncan discusses the Greek financial crisis and problems which threaten to engulf the entire European Union. Greece is currently mired in debt, but it is not alone. To some extent, all the countries of the European Union – like most nations worldwide – are running unsustainable deficits. Those countries that also have the Euro as their currency are in even deeper trouble. Greece and the rest of the so-called P.I.G.S. – Portugal, Ireland and Spain – are merely the tip of the iceberg. If Greece were to exit the Euro, it would be the first major sign of the entire project shifting into reverse, and the ideologues behind the scheme cannot allow this to happen. If Greece goes, others will surely follow. The true nature of the European Union as a purely political construct is being revealed. Richard Heinberg discusses his latest book Afterburn: Society Beyond Fossil Fuels. 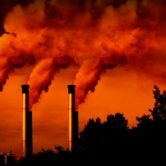 Climate change, along with the depletion of oil, coal, and gas, dictate that we will inevitably move away from our profound societal reliance on fossil fuels. But just how big a transformation will this be? While many policy makers assume that renewable energy sources will provide a relatively painless solution, Heinberg suggests instead that we are in for a wild ride; a civilization reboot on a scale similar to the agricultural and industrial revolutions. Andy Duncan discusses the 2015 UK General Election and the wider political scene past, present and future. Like many political systems around the world, UK politics is deeply divided and in a growing state of disarray. Many feel that voting in the UK today has become all but irrelevant, and in future may achieve little more than cementing a series of incoherent, toothless and conflict-ridden coalitions. In the face of enormous challenges, we get little from the political class beyond predictable, undeliverable policy promises and outright bribes for special interest groups during arguably the most unpredictable UK election of the modern age. And yet many citizens still believe that their vote actually counts for something when in the vast majority of cases it rarely – if ever – makes any difference to anything. Publisher of the Trends Journal and founder of The Trends Research Institute Gerald Celente discusses the outlook for 2015. What in the world is going on? Each day seems to bring with it a new geopolitical crisis, yet another political debacle, more dire economic warnings, increasing social unrest, one more environmental threat. What does it all mean? What can be done? How will it end? 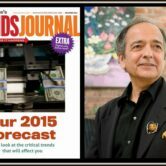 Gerald Celente’s Trends Journal is the only magazine in the world that pinpoints how today’s current events form future trends and how they will affect your business, career, family and future. The Trends Journal provides unbiased insights, analysis and forecasts of critical financial, political, economic, business, retail, entertainment, technology, science and other trends that are fact-based, data-driven and on the cutting edge. Gerald’s track record speaks for itself. He’s been forecasting worldwide since 1980. No one has been so right, on so many issues, so often. 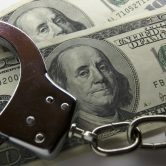 Monetary reform activist Bill Still discusses his latest documentary Jekyll Island: The Truth Behind the Federal Reserve. What’s the real problem with the world economy? It’s debt. 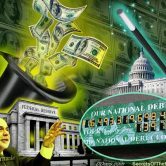 Too much personal debt, too much corporate debt and – most importantly – too much government debt. People have a natural tendency to want to spend now and pay later, and governments are no different. The problem is that government money mostly comes from just two sources; taxation and borrowing. Governments can either raise taxes to cover their reckless spending, or borrow from private banks and continue to kick the financial can down the road. Unfortunately, the vast sums governments owe to these private, for-profit banks continually attracts interest, and this mathematically un-payable debt is now strangling the life out of the economy of every nation on Earth. 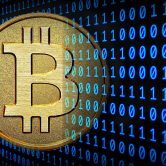 Dominic Frisby – Bitcoin: The Future of Money? Dominic Frisby discusses his book Bitcoin: The Future of Money? In 2008, while the world was busy panicking about the global financial crisis, a computer programmer called Satoshi Nakamoto posted a message on an obscure mailing list. ‘I’ve been working on a new electronic cash system’, he said. ‘It might make sense to get some just in case it catches on.’ Nobody seemed to care. But what he had created would become the world’s most famous alternative currency: Bitcoin. Economists, anarchists, speculators, computer coders, libertarians, criminals and entrepreneurs were inspired across the world. Early adopters would make a return two million times larger than their investment. Now it seems that Bitcoin will do to banking and finance what email did to the postal service and what the Internet did to publishing. 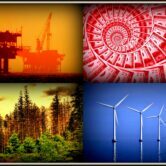 James Howard Kunstler discusses some of the issues raised in his books The Long Emergency (2005) and Too Much Magic (2013), examining how the global crises in energy, the economy and the environment have unfolded in the interim. The last two hundred years have seen the greatest explosion of progress and wealth in the history of mankind, but the age of oil that fuelled this expansion is rapidly coming to an end. The depletion of fossil fuels is about to transform life as we know it, and do so much sooner than we think. 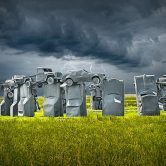 Kunstler explains what to expect after we pass the tipping point of peak oil production, setting out to prepare us for economic, political, and social changes on an unimaginable scale. John Michael Greer discusses his book Decline and Fall: The End of Empire and the Future of Democracy in 21st Century America. “Things fall apart; the centre cannot hold; Mere anarchy is loosed upon the world.” Although he was writing nearly a century ago, William Butler Yeats could just as easily be describing the United States today. The decline and fall of America’s global empire is the central feature of today’s geopolitical landscape, and the nature of our response to it will determine much of our future trajectory, with implications that reach far beyond the limits of one nation’s borders.